Commercial Expanding, Re-financing, New Purchase, Flood Elevation, Site Plan, or Topography for Stormwater. Residential Find a boundary line, divide your property, build an addition, Flood Elevation determination, or elevation mapping. Government Boundary Line Retracement or Perambulation, Tax Maps or Resource Mapping for Federal, State, Cities and Towns. 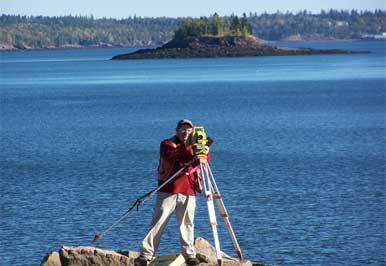 We provide quality land surveying, GPS mapping, title research, construction layout, photo control, municipal GIS services, flood mapping and many other measuring and land related services in the State of Maine and beyond.